The Divine Living Space Blog: An Upcylced Fireplace Facelift; A before and after! UPDATE: Our fireplace has gotten another facelift! Our fireplace was a HUGE focal point in the room and it was just... well, BLAH! I kept warning my husband I was going to do something, but wasn't sure what. He was skeptical. After all, it wasn't SO bad and he didn't want me to ruin a perfectly good fireplace surround. We live in the Northland where it seems like all things rustic go, so I wanted something earthy, simple, and organic. I kept thinking something like a barn wood, only a bit cleaner of a look,...more modern. 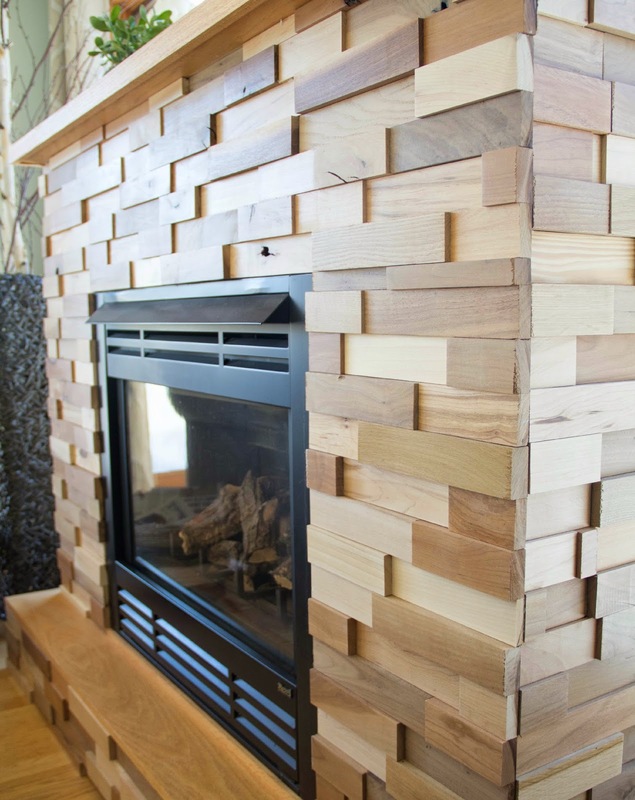 I came across this company that repurposes wood and makes them into tiles… um, genius! Up-cylced wood, (which is basically wood scraps from cabinet makers) and re-cycled wood (made from barn wood ). They take the wood and put it on a patented tile backing so it goes up like traditional tile does. Best part? It's made in the good ole USA! This company is AMAZING!!! Not only do they make a GREAT product, but their customer service is seriously top notch! Kim and I spoke for days. I sent her photos, dimensions and ideas. She sent me samples and lots of details on installation. The plan? would be to take off the cross beams and make the surface flush to add the wood tiles..
What's a girl to do? I called up my handy dandy dad who brought his tools by and we got right to it! We made sure we laid the tiles out before we started installation. 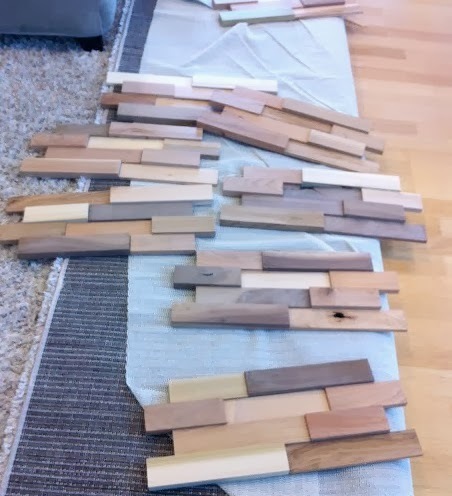 There is a lot of variation in the color, so I wanted to be able to hand pick the ones that would go on the face of the fireplace. Once everything was removed we put on the pre-mixed thin set and went to work. It was NOT difficult at all. Time consuming... a little. We just had lots of cuts. A little reminder when laying tile, start at the bottom and work your way to the top. Otherwise, the tile slides down and creates uneven lines while it's drying! We learned this the hard way and may have had to start over in a spot. Oops! I think what I love most is the dimension and variation all the tiles have! Everyone who comes to our home immediately walks over to it and asks what it is! We LOVE it!!! One more look at the before & after transformation! 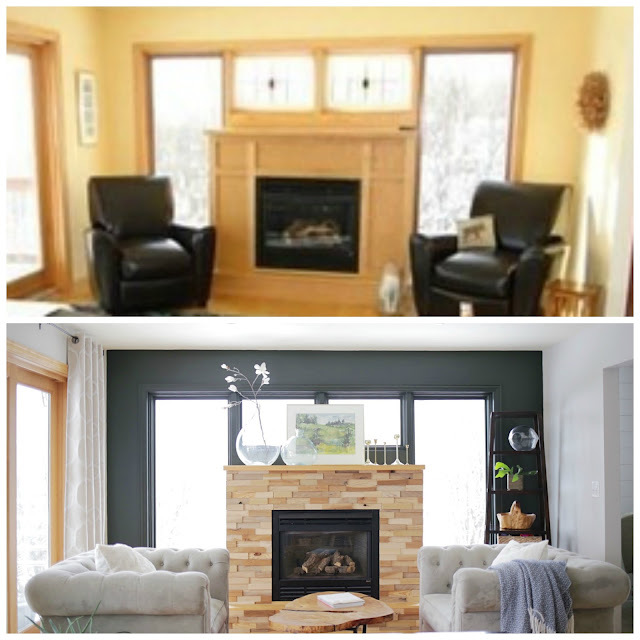 I entered this Fireplace Makeover in Creating with the Stars.. Go check it out over there I'm #159. Click on the photo to vote and then "PIN" it for an extra entry!!! Make sure to check us out on Facebook and Follow us on Instagram! Love this designer and all of her beautiful work! Wowza! This is an amazing transformation. I'm pretty sure I need to find a use for these tiles in my home somewhere! Wow looks very nice!! I love your blog too! Great projects you have done! I've never seen anything like it --- it's awesome! LOVE it!!! wow!! my giant fireplace needs something like this too. It looks great. I love it! Seriously, it just brings the whole room together. 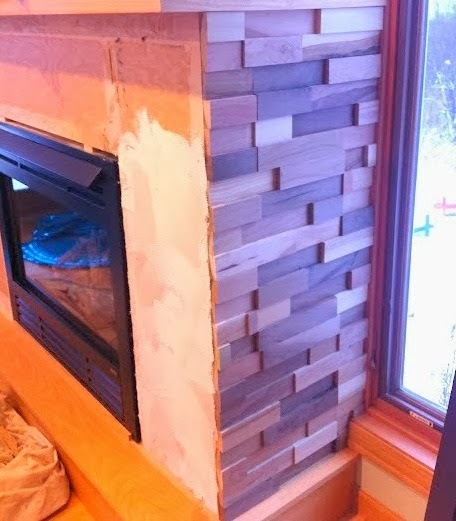 I didn't know you could even do this to a fireplace. I want to do this to mine. That is beautiful! What a great look! Who cares if it was time consuming. Look at your result! Absolutely original. Alles4bau is the most recommended construction company in Germany, which also constructs beautiful fireplaces in your house. 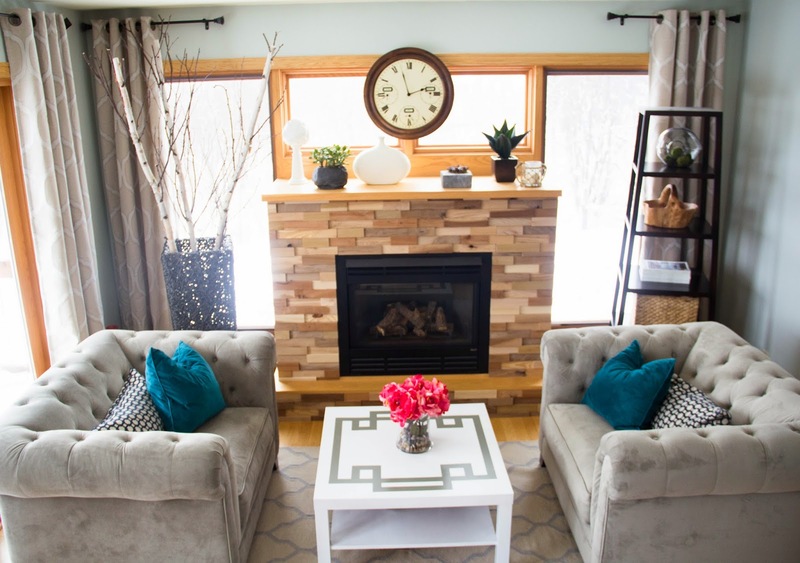 Your fireplace really received a magnificent makeover! 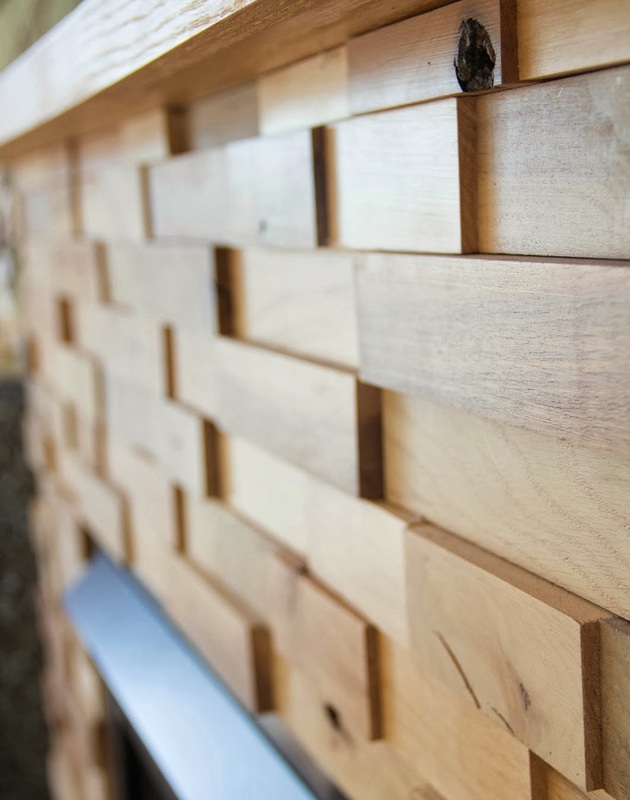 I like the idea of repurposing wood, as it’s not only more economical because the wooden tiles used were recycled materials, but it also looks very classy. 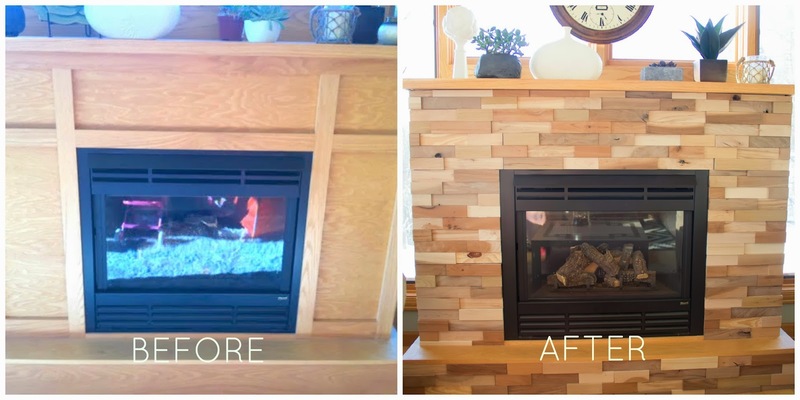 Thanks for sharing your fireplace’s makeover! I'm looking around for fireplace refacing, and this is absolutely beautiful! 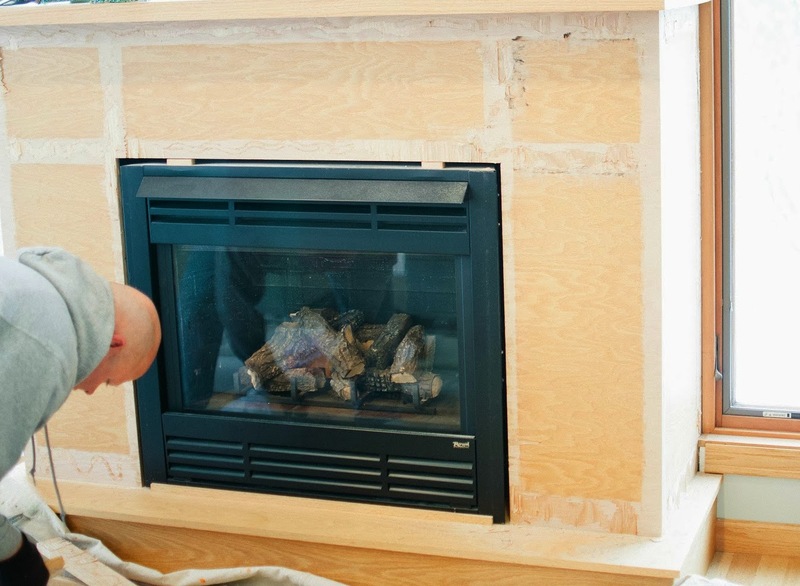 But as a person who has been studying non-stop about DV inserts, if that is a real gas fireplace, holy COW do you have a firehazard on your hands. Even the original wood surround was way too close to the opening to be used. For non combustibles, It's usually around/at least 6" from the sides/opening of the fireplace. Not sure if yours measures that, but then also ABOVE the fireplace! 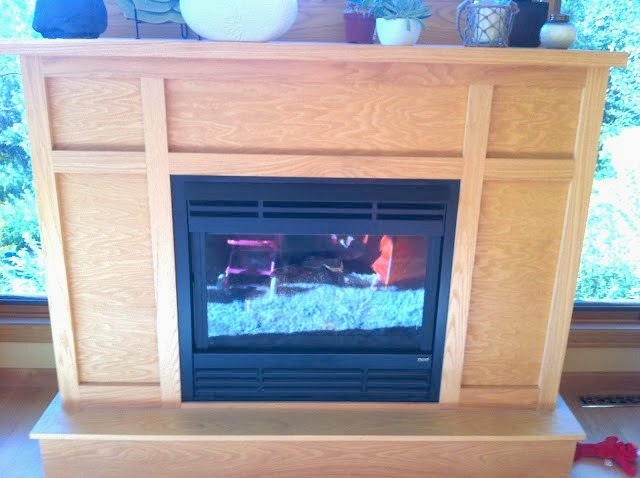 I do have a larger DV fireplace, but mine has a non-combustible zone of 15" above opening of fireplace. You have wood paneling right above opening! I wonder if the small hood on your unit helps remove rising heat from touching your surround, because if I did what you did, it would not be to code and be an extremely huge fire hazard! ANYONE looking to use these paneling, PLEASE look up your unit specs and find out the non-combustible zone first for the surround AND your mantel height! An 8" depth mantels bottom must be 18" above fireplace opening! Want to make a quick decoration using a fireplace candelabra? 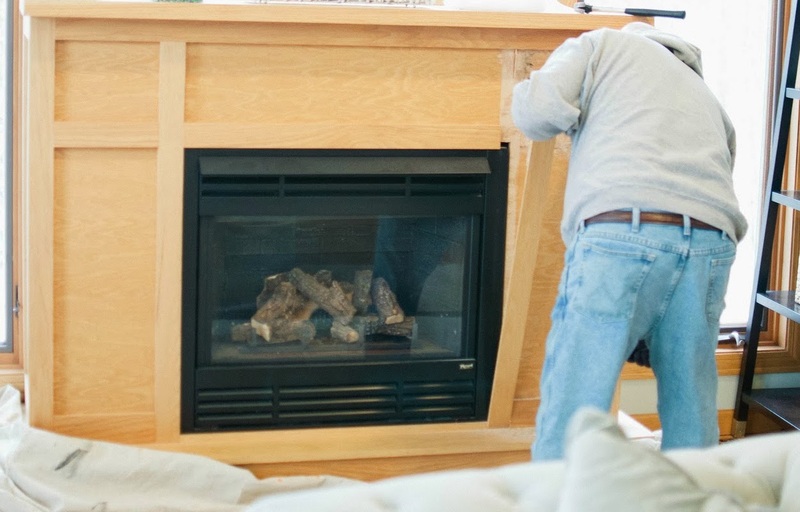 Here are some great ideas on how to use these versatile fireplace accessories to make unique decorations for many areas of your home Wood-burning fireplaces are deprived of that advantage.